In this issue: a pope on the run and a drastic change to save the world. Plus a new contest, just in time for the holidays! It’s spring in Burgundy. The flowers are out and so are the cardinals! That is, the cardinals of Pope Urban’s renegade papacy, now on the run from the Vatican’s would-be usurper Borja. Fortunately, Urban has help from those indomitable modern West Virginians thrown back in time during the Ring of Fire cataclysm. Urban and his peace initiative are not merely at risk from Borja’s assassins. There is another, deadlier team of professional killers in town, directed by the man who almost killed the Pope before: lethal Spanish mastermind Pedro Dolor. Dolor hasn’t come to confess murder—he’s come to commit a cardinal sin. Several of them, in fact! 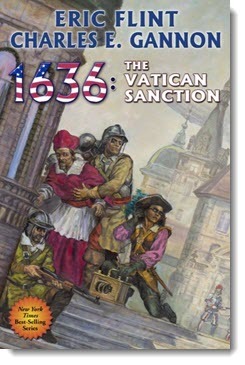 Get 1636: The Vatican Sanction here. What Would You Change to Save the World? How about everything? Literally. Everything you are, right down to your age, gender, and, eventually, your personality, too. Stephen Russ is living a regular American nerdly guy’s life in his early 30s. Working, hanging out, gaming, having the occasional romance. He is unusually brave and decent. But those traits just haven’t come to the fore so far in his life. Then a child's desperate scream leads him to battle faceless winged things that almost kill him. The choice has arrived: continue normal existence, or . . . become Princess Holy Aura, the first of the five Apocalypse Maidens. 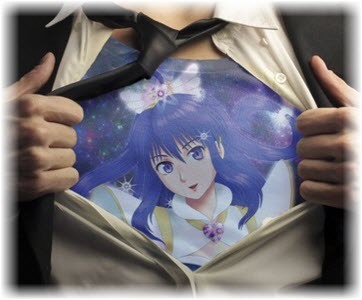 The world needs Princess Holy Aura again! Get Princess Holy Aura here. In Ryk E. Spoor’s new novel Princess Holy Aura, regular guy Stephen Russ must decide to become the first of the five Apocalypse Maidens, Princess Holy Aura. Well, it’s coming up on the holiday season, and while we don’t need an Apocalypse Maiden, someone’s got to deliver those presents in the case Santa can’t make it. So, what character from science fiction of fantasy do you think would make a good replacement for Santa and why? 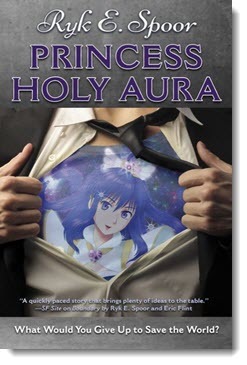 Let us know in a short paragraph (100 words or fewer) for your chance to win a signed copy of Princess Holy Aura. Last month we asked you what famous family from science fiction or fantasy you would you like to join for a traditional holiday meal and why. Congrats to Vicky Madaule. Vicky wins a signed copy of Down and Out in Purgatory by Tim Powers. 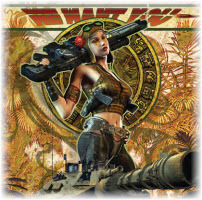 This holiday season give the Baen lovers in your life what they really want—more Baen Books! Not sure which books they already have? 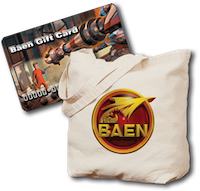 Head on over to the Baen CafePress store and check out our wide variety of Baen merchandise. With travel mugs, T-shirts, tote bags, and more, there is something for every Baen fan! 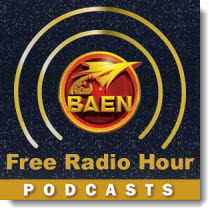 Coming soon to the Baen Free Radio Hour: Eric Flint and Charles E. Gannon talk about 1636: The Vatican Sanction, the latest entry in the Ring of Fire alternate history series, and editor William Ledbetter and Jim Baen Memorial Award winners discuss their stories in the new anthology The Jim Baen Memorial Award: The First Decade. New episode every Friday! Missed past episodes? No problem. We’ve got every episode archived for your listening pleasure. Pope Urban is on the run from the Vatican’s would-be usurper Borja. Fortunately, Urban has help from those indomitable modern West Virginians thrown back in time during the Ring of Fire cataclysm. Stephen Russ is living a regular American nerdly guy’s life in his early 30s. Then a child's desperate scream leads him to battle faceless winged things that almost kill him. The choice has arrived: continue normal existence, or . . . become Princess Holy Aura, the first of the five Apocalypse Maidens. Collected for the first time, here is the complete Under Jurisdiction corpus falling outside of Matthews' celebrated novels: these are the stories of Andrej Kosciusko’s “few good men” who will one day bring down the totalitarian star empire, the Jurisdiction—if only they can escape being ground down under the very oppression they fight. The Mesan Alignment has a plan to remake the galaxy and genetically improve the human race—its way. Until recently, things have gone as scheduled. But even the best laid plans can have unintended consequences, and one of those consequences may just be the dawn of a new bright day of freedom for oppressed star nations everywhere. Mercenary Michael Valentine is in Europe with a small team of his Exodus personnel trying to track down the evil and highly dangerous Katarina Montalban. The team is on their own, with few friends, few resources—and racing against the clock. Both Valentine and Lorenzo will have to risk some dangerous alliances if they’re to succeed. Don't forget to check out the newest ebook releases here. 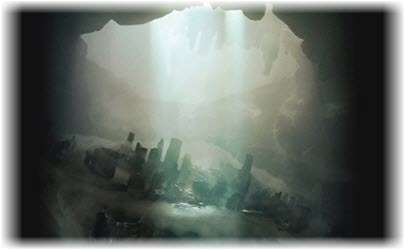 Plus new short story “On-site for the Apocalypse” by Ryk E. Spoor here. And read this month’s nonfiction essay, “Grid Wars: Innovation, Feuds, Rivalry, and Revenge in the Never-ending Battle to Electrify America and the Planet” by Jim Beall here.